A Sweet And Soothing Caramel And Cream Scent Wraps You In Its Comforting Embrace. Healing Tired Skin (And Spirit) From Head To Toe. An Entire Ensemble Of Spa-Quality Indulgences. From Bath Fizzies To Exfoliating Scrubbers. Leaves You Feeling Relaxed. Refreshed And Ready To Greet The Day. 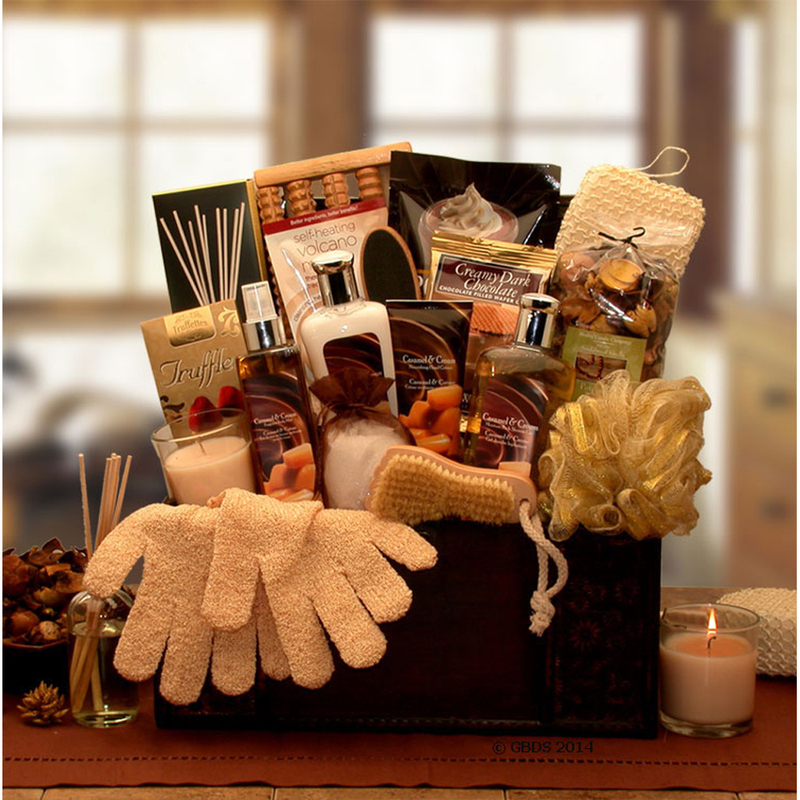 Enclosed In A Wooden Keepsake Chest This Gift Is The Ultimate In Spa Experiences. These Are Full Size 8 Oz Bath Products. Not Trial Sizes. They Are Of High Quality Aromatic Scents And Not Something Found At A General Store Or Any Of Our Competitors. The Scent Is A Rich Caramel And Cream With Spice Mixyure. A Romantic And Sensual Scent. This Gift Includes: Wood Gift Chest. 8 Oz.Caramel & Cream Moisturizing Boy Lotion. 6 Oz. Caramel & Cream Moisturizing Hand Cream. 8 Oz.Caramel & Cream Moisturizing Bath Gel. 8 Oz.Caramel & Cream Refreshing Body Spray. Room Diffuser With Reeds. Bath Loofah Ball. Exfoliating Rectangle Bath Sponge. Boars Hair Bristle Brush. 3" Poured Glass Candle. Chocolate Truffles. Soothing Bath Salts In A Satin Sachet. Aromatherapy Potpourri. Dark Chocolate Caramel Wafer Cookie. 20 Below Creamy Milk Chocolate Iced Latte Mix. Exfoliating Bath Shower Mitts. Facial Mud Mask. 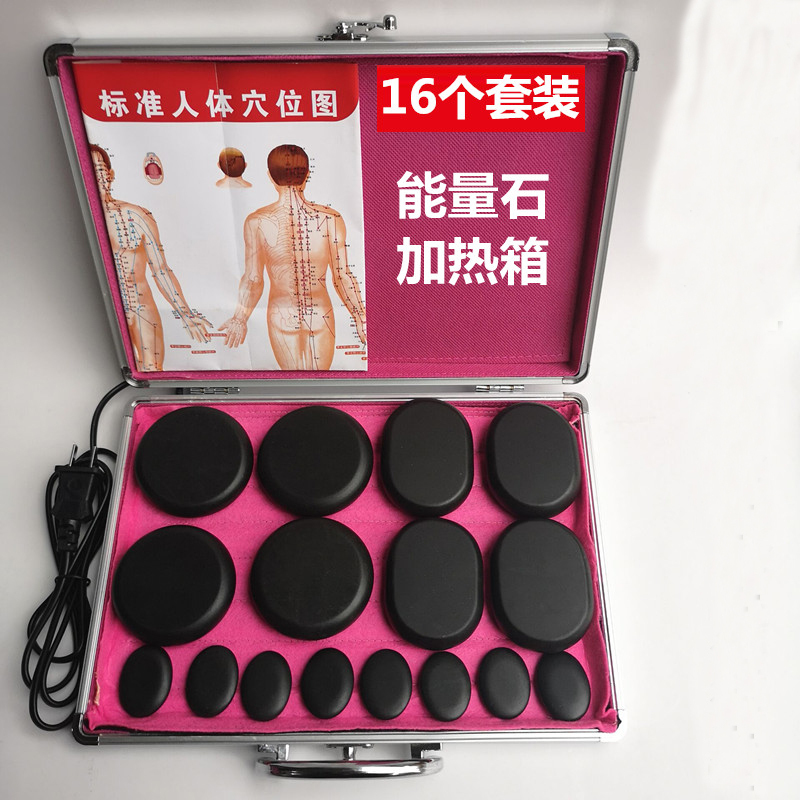 Body Massager. Completed Gift Measures 15" Long By 12" Wide And 18" Tall And Weighs 7 Pounds. Measures 15" Long By 12" Wide And 18" Tall.